Amelia Earhart’s missing wreck represents the start of aviation archaeology as we know it today. If you’ve ever seen an aircraft wreck you know that they can be pretty interesting — but did you know that for almost as long as aircraft have fallen from the skies, there have been amateurs eager to explore the wreckages? Enter the obscure and morbid world of aviation archaeology. According to the only “authority” on aviation archaeology, “Aviation archaeology is primarily the locating and documenting of old aircraft crash sites. It focuses on the preservation of these sites and of the history surrounding the activities that caused them.”1 But let’s take things meta: how did people get started with checking out aircraft wrecks as a hobby? In many ways, Amelia Earhart’s missing wreck is a symbolic holy grail of the aviation archaeology community, and perhaps the earliest incidence of people intentionally seeking a specific wreck. In the 1930s immediately following Earhart’s disappearance and the conclusion of the US navy’s search of the area she was last spotted in, private individuals contracted expeditions to the area of her disappearance to continue the search. They came up empty-handed, and it’s no surprise why. Unfortunately, much like many other wrecks, Earhart’s plane is likely at the bottom of the ocean, which makes it unreachable for amateur archaeologists. As recently as 2015, private groups have continued to try to hunt down any trace of Earhart. Nevertheless, the hunt for Earhart’s wreck marks the start of aviation archaeology as we know it today. A few years after Earhart’s crash, World War 2 began, fueling the wreck chasing community for decades to come. Early wreck chasers didn’t have the benefit of the internet but were graced by the sheer abundance of crashed planes and an incentive to hunt down the wrecks. During the US entry into WW2, California, Nebraska, Maine, Arizona, and New York were hotbeds of Army aircraft training and therefore crashing. Though civilians at the time probably didn’t consider their hobby as “archaeology”, their intent was clear: find the wrecks of crashed aircraft so that they could inter the remains. Early wreck chasers were probably people who lived near the airbases where training accidents occurred, and their hobby was far from isolated to the US. During the war, wreck chasing communities cropped up in the UK as well as other Commonwealth countries, although not elsewhere. Most of these countries would continue to chase wrecks into the jet age after the war ended and introduce hunting down civilian wrecks too. The era of civilian jet transport ushered in a new set of norms within the wreck chasing community. Now, certain wrecks weren’t kosher to approach, namely those that had crashed recently. Older wrecks were still fair game, and there were enough wrecks and pieces of debris from the wartime period that amateurs could still hope to discover previously undocumented sites or artifacts. Rather than wreck chasing existing as a form of cemeterial practice, the mood lightened a bit and the emphasis on returning lost remains was reduced. Wrecks were now historical sites to document and examine with a social scientist’s eye rather than the shallow graves of military heroes. As the 1960s continued, wreck chasing began to take the shape that it exists in today with the introduction of specialist publications and serious acceptance of aviation archaeology within the wider archaeological field. Though it’d take until the late 1980s for aviation archaeology to become fully accepted as a discipline within archaeology, the biggest factor which allowed aviation archaeology to progress was the formalization of reporting. Most aviation archaeology “reports” read like a story, and many of the earlier reports contained embellishments as such. As the emotional charge of interring fallen airmen left aviation archaeology, improvements in civilian air infrastructure provided for a dense body of records pertaining to each aircraft. Unlike the previous wreck chasers who only had scant information provided by the military aviation authorities, the wreck chasers of the 1970s and onward had the benefit of extensive data on aircraft maintenance, failure cause, crew, transit metadata, and even the identities and baggage of the passengers. From the mountains of data that aviation archaeologists could now sift through, extremely detailed histories of airplanes before and after their wrecks could be formed. Is It in Bad Taste to Be an Aviation Archaeologist Today? Modern aviation archaeology lives on the internet in a variety of hobbyist websites, all of which share an affection for extensive documentation which leans on the ever-more-abundant data culled from aircraft and airports to complement the more traditional archaeological visual documentation of remains, parts, and fuselages of wrecks. Much of this documentation extends beyond the English-speaking countries, and so it seems fair to say that aviation archaeology has become an international phenomenon since the early 2000s. Though there’s still some interest in recovering fallen military aircraft, the aviation archaeology community has become extremely focused in its efforts. Individual aircraft are singled out as requiring documentation of their wreck site, and the vast majority of accessible wrecks have been documented extensively. Furthermore, modern military aviation authorities typically locate and inter their own wrecks, reducing the role of civilian hobbyists. 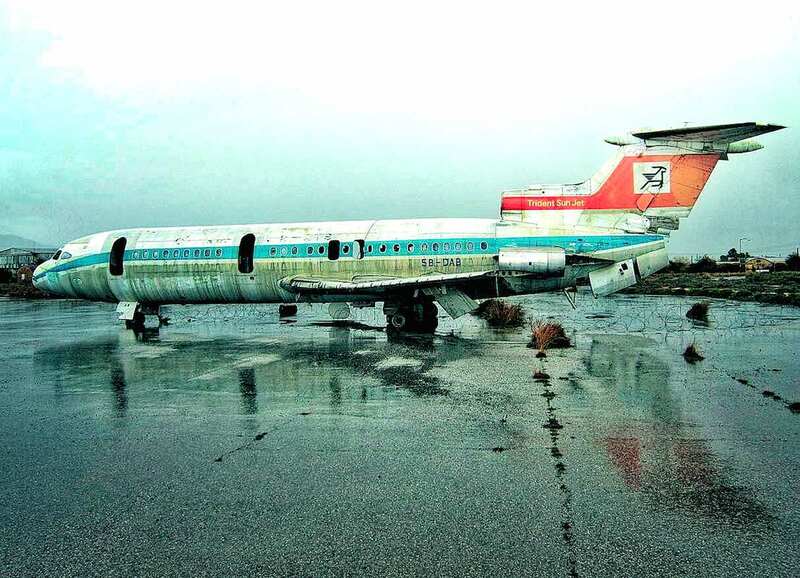 In the present day, many aircraft wrecks are the resting place of military or civilian pilots and families of those who died sometimes visit the wrecks for closure. Interestingly, there are no recorded incidents of aviation archaeologists conducting themselves inappropriately at crash sites by defiling graves or interfering with forensic investigations of the crash. While it may seem morbid to hunt down crashed planes, in the present day aviation archaeologists are largely assemblers of narratives from the publicly available data sets which each aircraft generates as it flies (or crashes). Even if you don’t see the appeal of checking out a wreck, at least you can be assured that if you die in a plane crash, there’s a community of people that won’t ever forget every tiny detail about the last flight. Alberto Santos-Dumont: The True Father of Heavier-Than-Air Flight? Will New Expeditions Solve The Amelia Earhart Disappearance?